New Name, Same Outstanding Service! Packer Park’s #1 Realtor and Real Estate Company is proud to announce a bold transformation of its own! 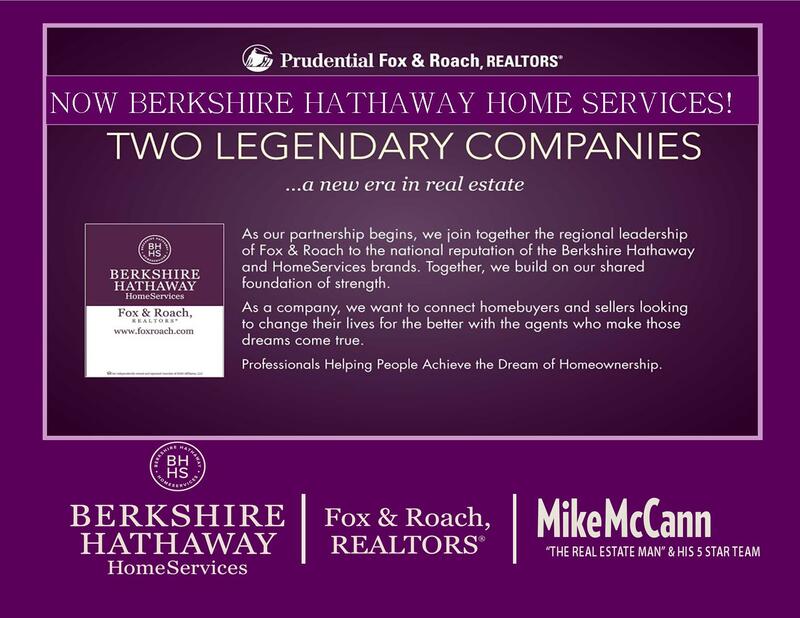 As of November 12th, 2013, Prudential Fox & Roach Realtors is now Berkshire Hathaway Home Services Fox & Roach Realtors. With the cabernet and cream renovation, you are still and will always be promised professional and committed service, along with the same first rate expertise knowledge and experience. Rest assured, while the name might be different, the quality of service provided will be the same. Look for our new signs, designed with cabernet and cream colors! If you have any questions or concerns about this exciting news and what it will mean for you specifically, please contact me at any time at Jonesti@mccannteam.com.